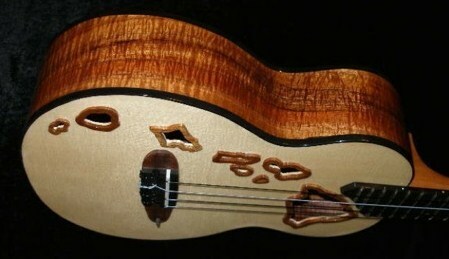 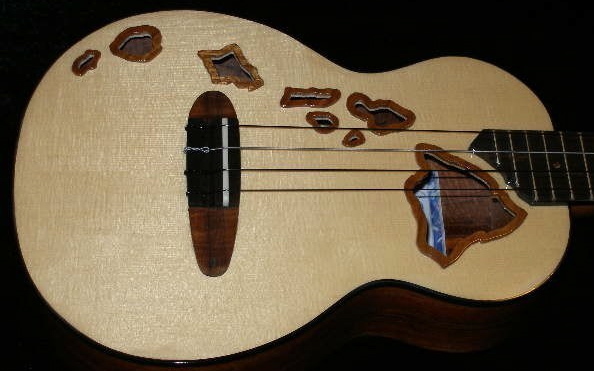 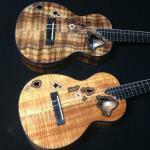 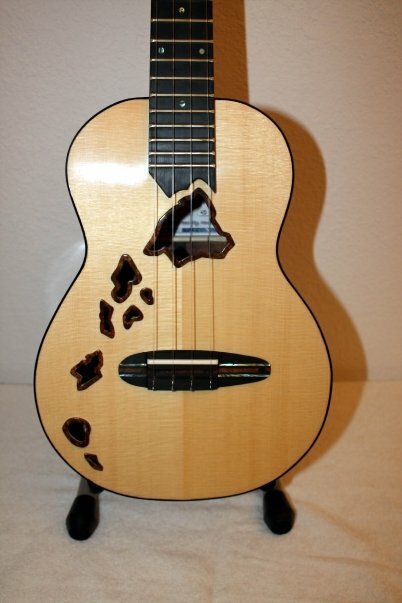 A photo gallery of different Hawaiian Island 'ukuleles made. 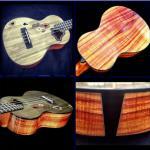 Click each photo for a larger version and a brief description. 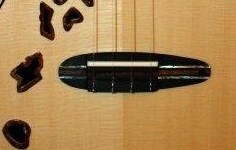 If you would like to order one, contact us. 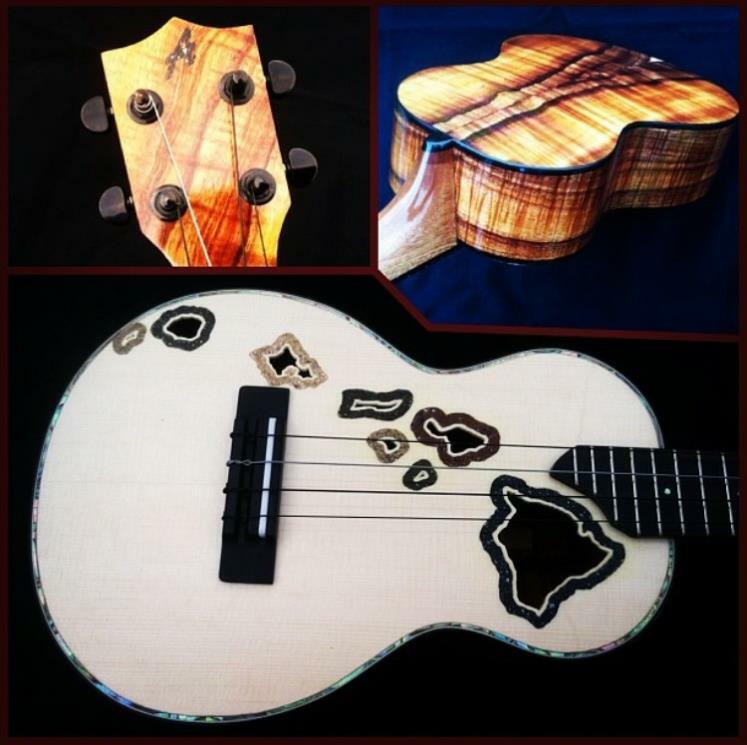 This Custom Ana'ole 'Ukulele model comes complete with premium Hawaiian curly Koa wood top, back and sides or with master grade Engelmann Spruce top for optimal projection. 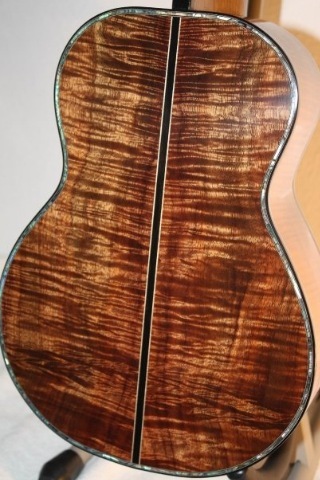 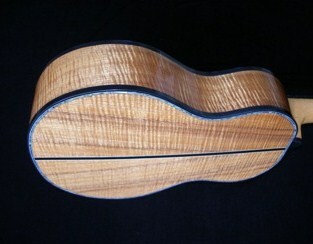 In addition, binding on front and back and detailed curly Koa Hawaiian Island soundholes. 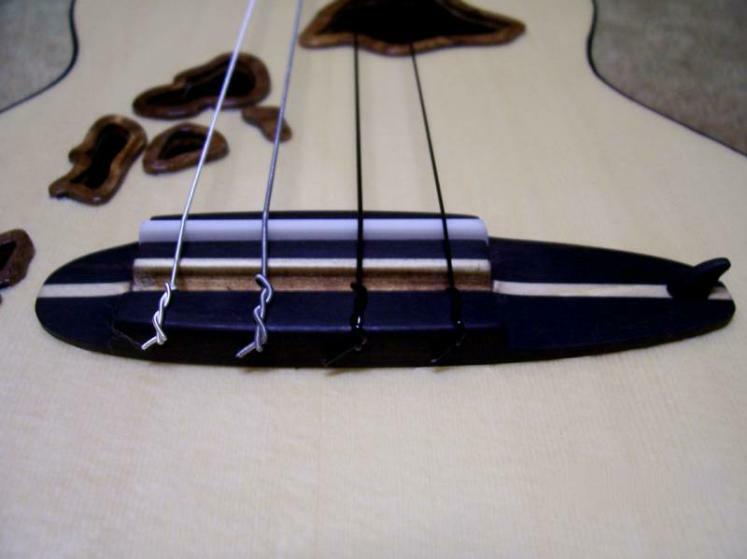 In addition, ebony fingerboard and ebony longboard shaped bridge with a single ebony fin. Your choice of either Koa or ebony wood headstock plate and a high gloss, poreless nitrocellulose finish. 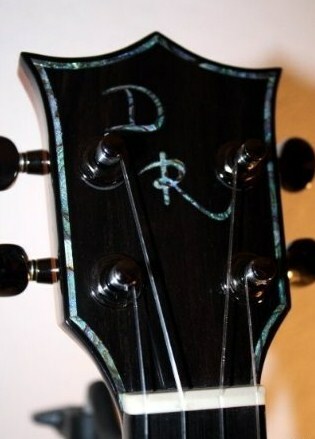 This beauty boasts professional Grover tuner and strung up with Worth string. 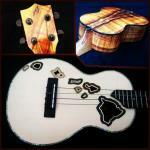 This Custom Ana'ole 'Ukulele model comes complete with premium Hawaiian curly Koa wood top, back and sides. 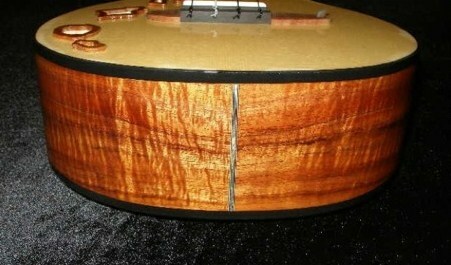 In addition, binding on front and back and detailed Hawaiian Island soundholes. 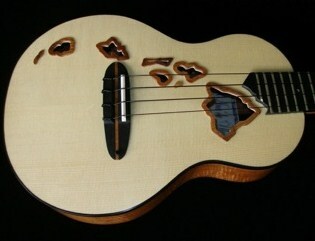 What makes this model unique is the inlay of sand utilized from each of the Hawaiian Islands shoreline. 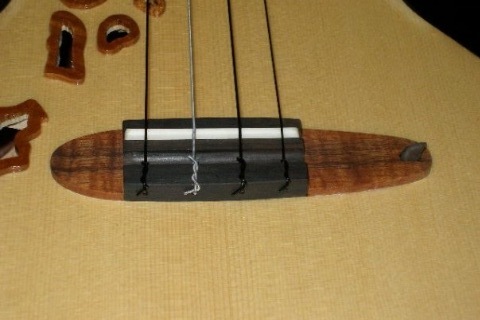 In addition, ebony fingerboard and bridge with a Sapele mahogany neck. Your choice of either Koa or ebony wood headstock plate and a finished off with a high gloss, poreless nitrocellulose finish. 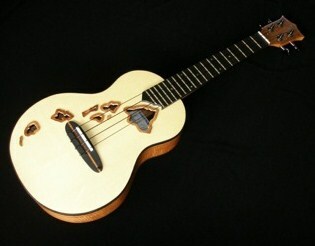 This beauty boasts professional Grover tuners and strung up with Worth strings.